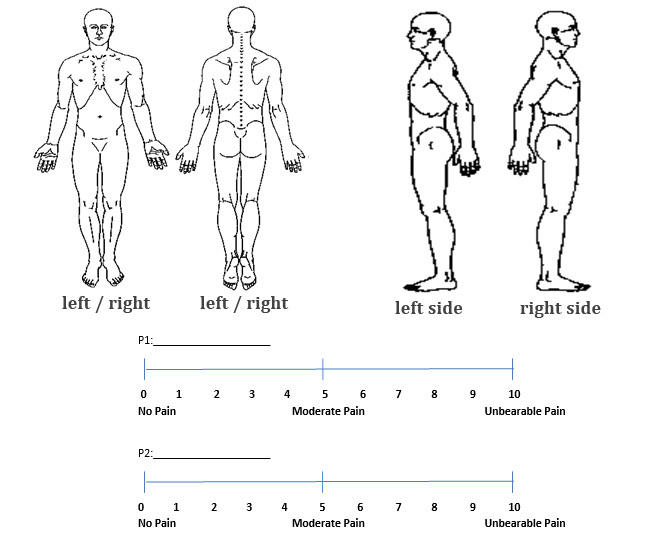 On the drawings below, please indicate where you are experiencing pain by describing below what areas hurt, and where on the scale your pain sits. Please list where you are feeling the pain (I.E. neck, back, shoulder, etc.) and on the scale from no pain to unbearable pain please place an X that best describes the severity of the pain you are feeling. Please refer to above picture for the answer to this question.